Schadau Castle is located on the south side of the Aar near Lake Thun in the city of Thun. It is a Swiss heritage site of national significance. 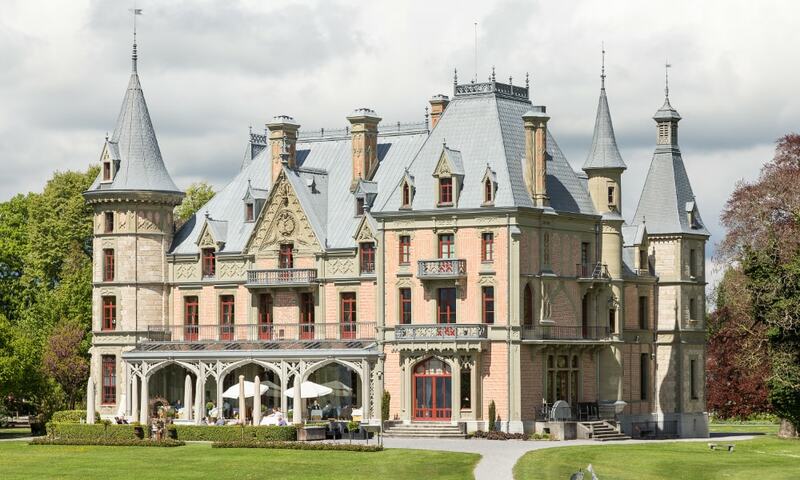 The castle was built in the Gothic Revival style, for the banker Abraham Denis Alfred de Rougemont. Since 1925 the castle has belonged to the city of Thun and contains a restaurant and the Swiss Gastronomy Museum. Between 1972 and 1992 the facade of the castle was renovated by the city's own quarrymen. The oldest known surviving panorama was completed in 1814 by Marquard Wocher, and is on display at the Schadau Castle, depicting an average morning in the Swiss town of Thun.